Surveying and property firm YoungsRPS has announced an expansion in south-west Scotland fuelled by strong demand for its specialist agricultural services. Located on the outskirts of Dumfries, the new offices are due to open this coming Monday to accommodate a “growing team and ever-increasing work load”. 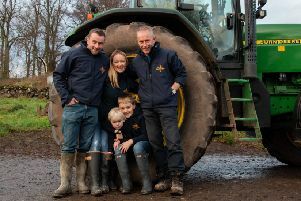 The firm, which is relocating a team from its current office at Thornhill, said it was seeing increasing demand particularly for farm sales and acquisitions, specialist tenancy negotiations and grant applications advice and support. Tom Oates, director of YoungsRPS, said: “The business has been built on a foundation of people who have a deep understanding of agriculture and farm business issues.